If you’ve got some leftover yarn you can use it for this project. This pretty rainbow baby blanket free crochet pattern is perfect to use some of your scraps yarn. The pattern is beautiful and easy. The yarn suggested is wonderfully bright and beautifully soft. Just perfect for a baby. 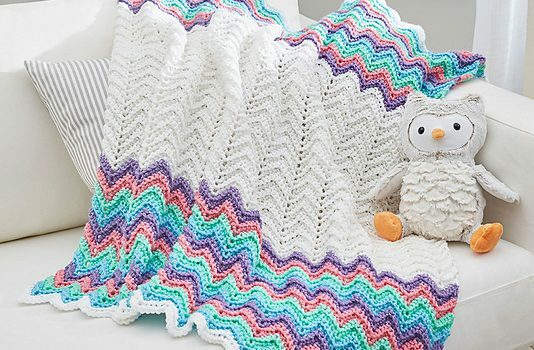 This classic Rickrack Rainbow Baby Blanket by Red Heart Design Team is quick and easy and it looks perfect in any colors. 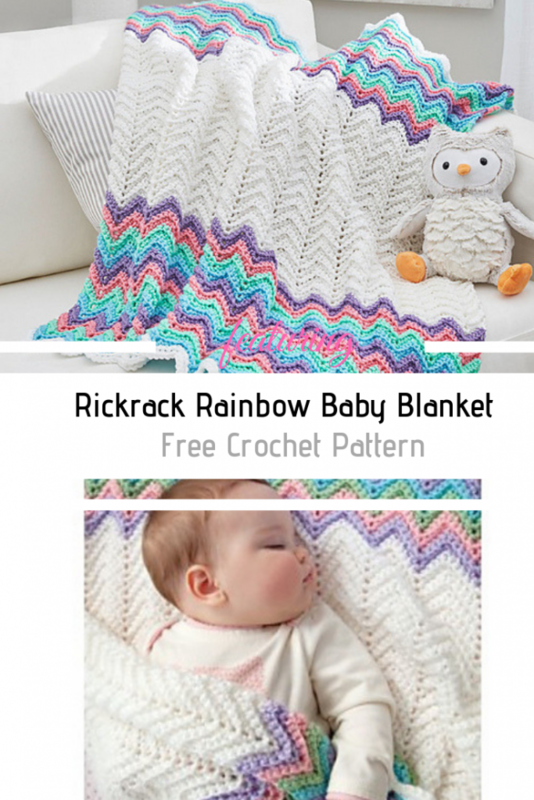 Get the pattern: Easy Rickrack Rainbow Baby Blanket Free Crochet Pattern. Thanks to Red Heart Design Team for the article inspiration and featured image.